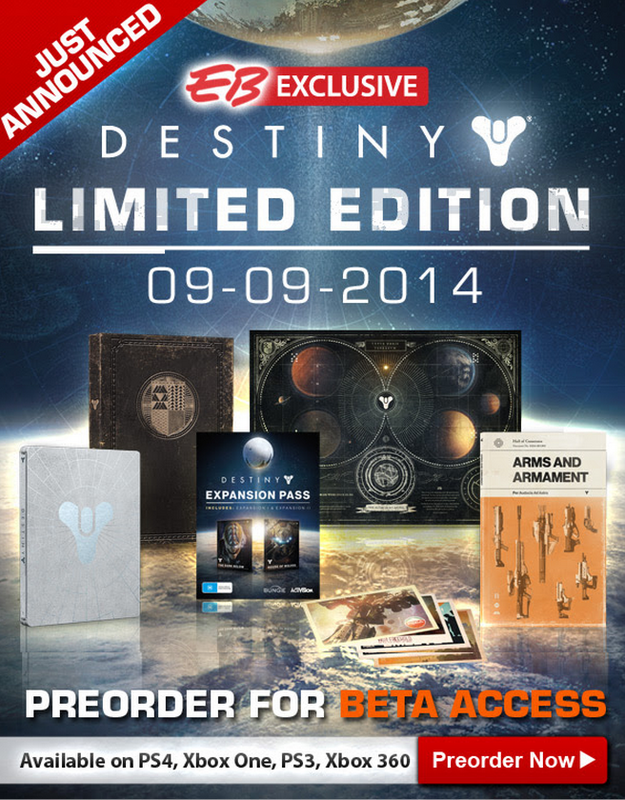 Pre-ordering will get you access to the upcoming Destiny Beta event! This will see you be granted access to four Destiny story chapters, four competitive multiplayer maps, and a co-op strike over six weeks before release. Personally I would pre-order solely for the cool little Arms & Armament book, that sounds and looks like a pretty good read. And you think that Australians often get forgotten when it comes to gaming and exclusives.